Arctic Monkeys have been very quiet since their headline sets at Reading and Leeds Festivals back in August 2014 – but they’re right on the edge of a return. 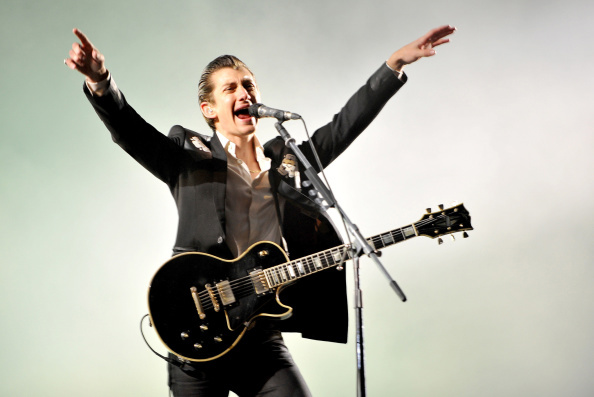 Lead singer Alex Turner said at the time, the performances at the festivals seemed like the ‘perfect place to leave things for a while’, and he wasn’t kidding. The band has already revealed new material is on the way and have announced a number of summer dates – only one of which is in the UK – so far, I might add. Everybody got all excited at the prospect of some new sound of Sheffield’s finest when Alex Turner hinted a new AM single was on the way ‘soon’. And we could be hearing that single as soon as May, if not before. A fan – by the name of George Evans, on Instagram – has posted photo of himself alongside drummer Matt Helders. As well as revealing Helders likes cheesy chips and gravy, he did also write: ‘New album out in May’. The band have announced a number of festival dates, as well as shows in the US and across Europe – but there has to be some UK dates on the way, surely? Rumour has it, Arctic Monkeys are set to play a ‘string of massive homecoming shows’ in their native Sheffield this summer. Why? Because notices have been put up in Hillsborough Park stating SJM Concerts are planning an event in September, providing live music and the sale of alcohol on four dates. Obviously this has people incredibly excited with fans suggesting it ‘must be them’ since Arctic Monkeys have been on a hiatus. Which is no surprise really, let’s face it, it was a seriously, seriously good album. Commercially AM was one of the band’s most successful releases to date, topping the charts in several countries, but not quite outselling their debut Whatever People Say I Am, That’s What I’m Not, in the UK at least. But with all the hype they’ve been building for the upcoming album, that might all change, and let’s hope it does.